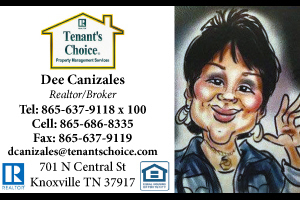 It was billed as the high school hardwood game of the week in Knox County and Bearden High School’s boys basketball team was looking to make a statement. And that’s just what the Bulldogs did as they routed Catholic 78-52 Thursday night in a crucial District 4-AAA game before a packed and spirited house at Bearden High School. 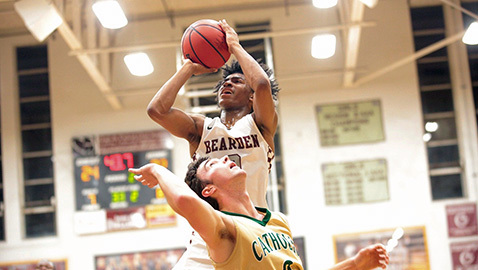 “It was big for us to come home and play and win this district game,” said Bearden senior guard Ques Glover, who scored 25 points and made 11 of his 14 field goal attempts to propel the Bulldogs past the Irish in the battle for second place in the district standings. “We’d been playing in some top national tournaments and we’ve been traveling a lot and we’ve been a little tired. Bearden (14-5 overall, 7-1 in the district) certainly made its point. The Bulldogs started fast and opened a 20-12 lead in the first quarter before the Irish (14-3, 6-2) battled back and had the deficit trimmed to 25-24 after Ryan MacDonald scored with 2 minutes, 44 seconds remaining in the second quarter. But the Bulldogs didn’t waste much time regaining control as they closed out the first half on an 11-0 run, making nine free throws during that surge and making their point to Catholic coach Mike Hutchens. “We had it down to one and then they score 11 in a row and they make nine free throws,” Hutchens said. “Then they come out in the third quarter and made shots. Hutchens was wrong but not by much. Bearden went 8-for-12 from the floor and Glover got plenty of help from his supporting cast. Trent Stephney scored 17 points. 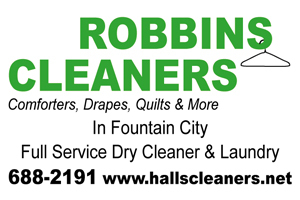 Shamarcus Brown had 12 and Kordell Kah added 11. Bearden coach Jeremy Parrott was pleased with the way his Bulldogs answered the bell against the Irish Thursday night. “We came out and had good energy tonight and we got off to a good start,” Parrott said. “I was kind of worried about our energy level coming in because we’ve been a little beat up. Catholic had its own injury problems. Center Akeem Odisupe sprained his ankle in a recent game against Austin-East. He returned and scored 18 points to lead Catholic after practicing just once in two weeks. B.J. Edwards had 13 points for the Irish.